The Baldur's Gate Enhanced Edition is coming this summer. 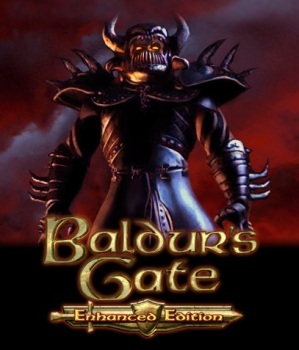 Details are still mighty thin but the countdown at baldursgate.com hit zero a few minutes ago, revealing [after a lengthy, chugging pause to address overloaded server issues] the Baldur's Gate Enhanced Edition. Not much is known at this point but it's coming from Beamdog, Overhaul Games and Atari, and it's due out this summer. Stay tuned! UPDATE: We still don't know much, but a Beamdog rep has told Joystiq that the new game will be more than just a graphical overhaul. "This is the Enhanced Edition, it's not a repackage," the rep said. "We have the original source code and are doing a significant update." "Baldur's Gate Enhanced Edition is going to have new content for the game you love," Beamdog chief and Baldur's Gate veteran Trent Oster tweeted following the announcement, "made by some of the original team members." Platforms and other information have not yet been announced.